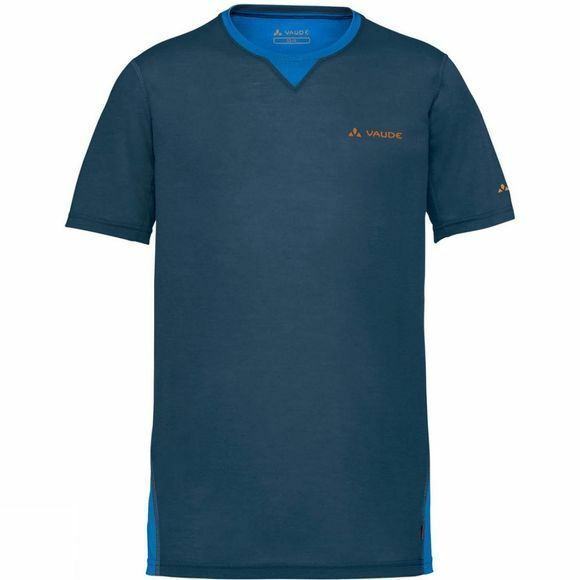 The Mens Skarvan T-Shirt from Vaude, is a comfortably soft t-shirt for demanding trekking and backpacking tours. 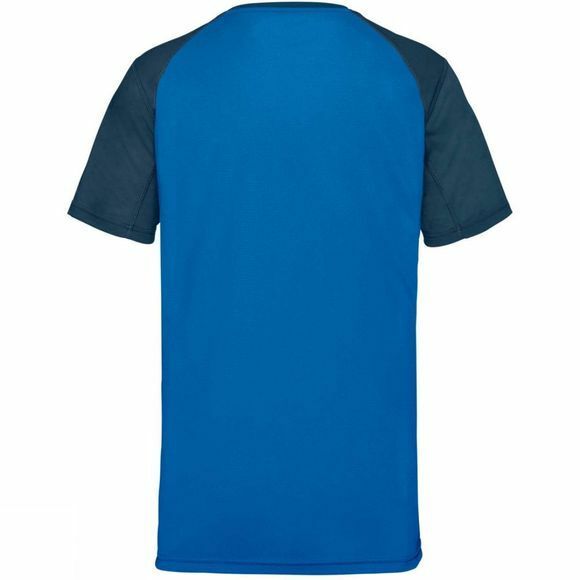 The drireleasematerial blend of polyester and wool is full of function: extremely fast drying, odor inhibiting while it keeps you cool. Wool is also a renewable resource that conserves fossil fuels. This easy-care material at the back transports moisture quickly away from the body for a comfortable microclimate. The Vaude Green Shape label stands for environmentally friendly, functional products made from sustainable materials.